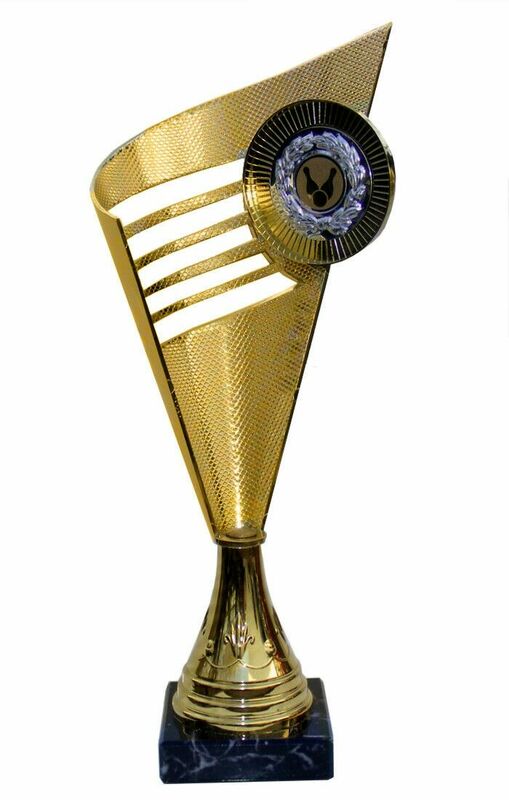 A tall cut cup in gold, this award has a small insert on the top right in which we can place a centre with a small sporting image of your choice. Our cup is mounted on a marble base with the option of personalised engraving. Perfect for any sporting event. Engraving is placed on a plaque, engraving can be approx 2 lines of 15 characters per line, including spaces. These beautiful silver and gold tarnish resistant trophies with marble bases make the perfect award for any sport or presentation.